This is part 4 of an eight part series contributed by Heifer Sacramento volunteer, Cheryl McKinney on her experiences visiting Heifer Ecuador projects in 2013. 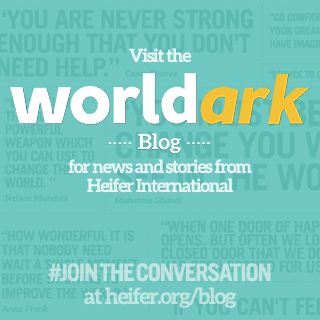 We are still visiting the Heifer Ecuador projects in the Province of El Oro, banana capital of the world. 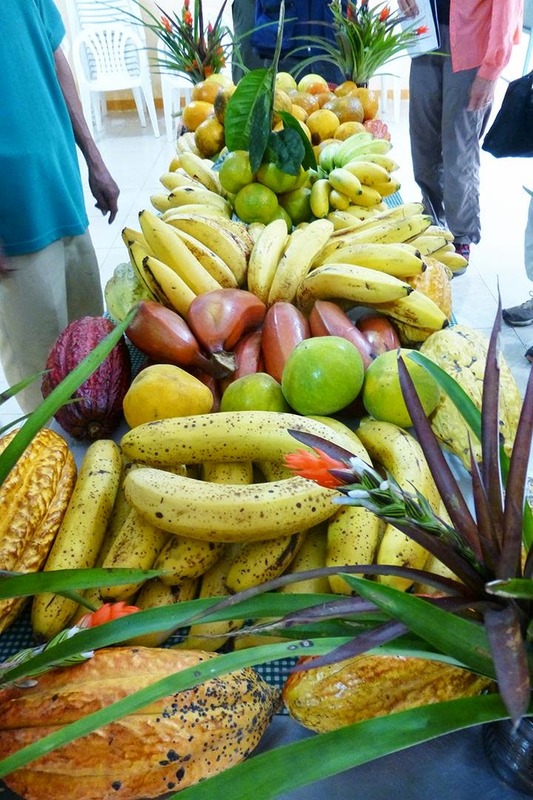 On Carlos Cuenca’s organic fair-trade farm, besides raising banana for export, he grows an amazing diversity of fruits. 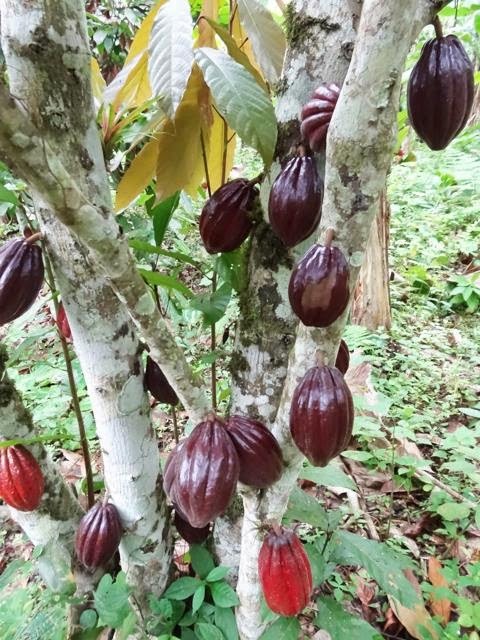 The pods in the photo are cacao — the beginning of what ends up in your delicious chocolate bar. They redden as they ripen. Check out this table overflowing with various bananas and citrus. All are local to this village, Muyuyacu. The women of Muyuyaca have seen opportunities in this abundance. 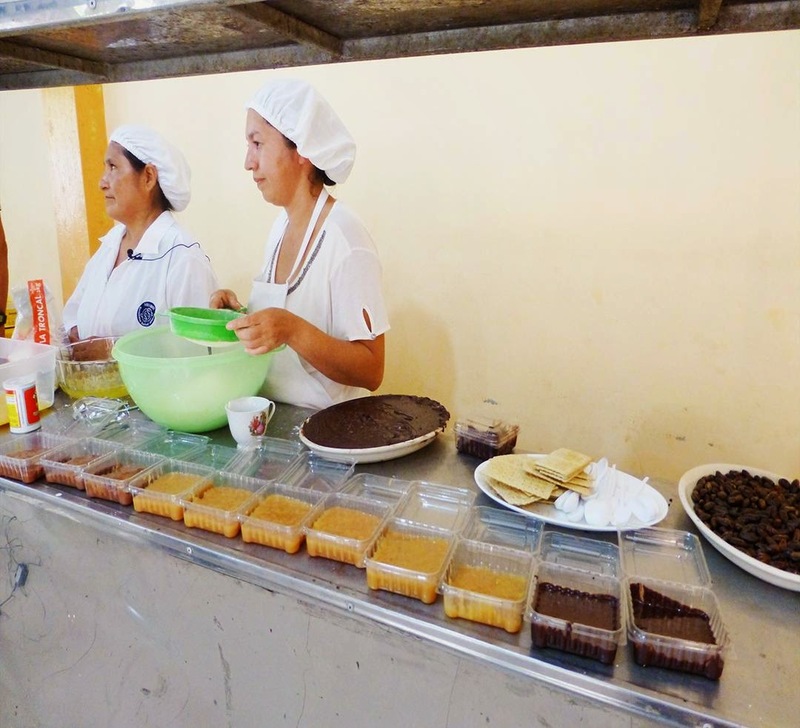 With Heifer Ecuador’s help, they have purchased chocolate processing equipment and are developing recipes for products. Marketing will be next. Fruit and chocolate: mmmmmmmm! Watch a video of a day's work of a fair trade Ecuadorian farmer to protect bananas for export! Read about how Heifer helps small native farmers grow wild cocoa. 0 Response to "Letters from Ecuador Part 4 - Organic and Fair Trade Diversity"